We are often asked can I remain in my home or business during mold remediation. There are many occasions when we are able to isolate the work area for mold remediation as we have done here. SERVPRO of Haddon Heights/Voorhees provides 24-hour emergency service and is dedicated to being faster to any-sized disaster in Cherry Hill, NJ. We can respond immediately to your Mold related issues in your home or business. Our team has the expertise to handle your Mold Remediation needs. SERVPRO of Haddon Heights/Voorhees understands the stress and worry that comes with a fire, water or mold damage and the disruption it causes your life and home or business. Our goal is to help minimize the interruption to your life and quickly make it "Like it never even happened." If your house is more than 40 years old, it can harbor some unseen fire risks. If you learn about them ahead of time, you can take action to prevent a fire from starting—and keep your home sweet home safe for many more years to come. According to the Consumer Product Safety Commission (CPSC), there are about 46,000 fires involving home electrical systems each year, and the majority of those could be prevented with a routine inspection. The CPSC says that in many cases, homes that were built between 40 and 100 years ago hadn't been inspected since they were built. If you can't remember the last time your electrical system was inspected, hire a certified electrician or electrical inspector to prevent a potential disaster. Even if you've had an inspection less than a decade ago, you should contact a professional immediately if you start to notice the warning signs of a bad electrical system. Hire only a Licensed Electrician to do electrical work. In newer homes, each floor is individually constructed to ensure that fire stops between them, but in balloon-frame homes, there's nothing to stop a fire from spreading. Commonly used from the late 1800s through about 1940, balloon framing was a construction method in which a continuous wood stud wall stretched all the way from the foundation of a home to the attic. If your home has balloon framing, flames can spread from the floor to the roof in just seconds. If you aren’t sure what kind of framing your house has, hire a skilled professional to inspect it. 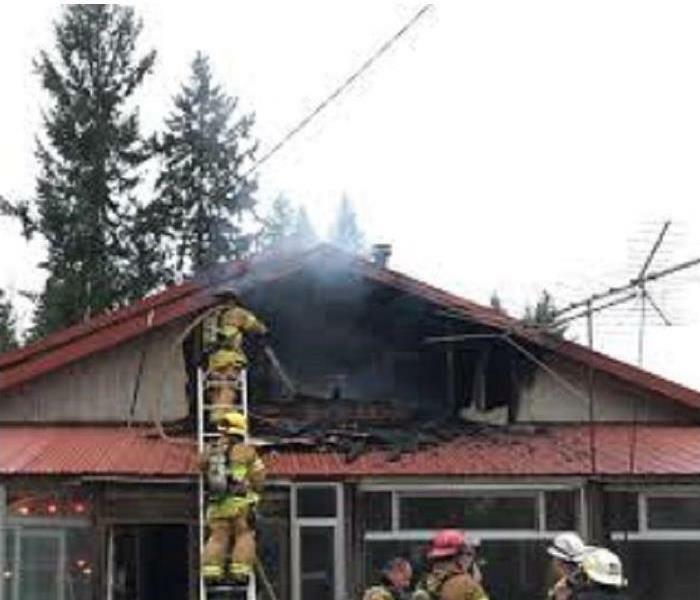 If your home was constructed with balloon framing, a major remodel—to open up the walls and ceilings and install solid blocking to act as fire stops—may be your only option. Alternatively, you may be able to install insulation in empty cavities that would slow or prevent the spread of fire. Which one doesn’t fit with the rest? Mold is big. Mold is bad. Mold is scary. Mold is common. When it comes to mold there is a lot of misinformation floating around out there. Mention the word “mold” and people will flee in panic. In reality mold can be a serious problem, but with a little common sense and the right information you can learn to discern myth from fact and make wise decisions in your dealings with mold. With all the misinformation about mold out there it is easy to over react. Here are four "myths' that are over reactions to mold. Nope! Have you ever eaten cheese or take penicillin? Mold is used in the making of many kinds of cheese and in the manufacturing of antibiotics (though things have come along way sense the first antibiotic). While mold certainly can cause health effects, it is not true that all molds cause health problems in all people. In reality the affect of mold on people varies greatly. Molds produce allergens, and while some people will be allergic to the allergens produced by mold not everyone will react to mold, and the affects can be varied depending on ones sensitivity to mold People who are highly sensitive to mold may develop allergic reactions and show symptoms such as difficulty breathing, bloody noses, itchy and watery eyes, etc. People with already compromised immune symptoms are also at risk for reacting to mold, and some studies have suggested that serious health effects can arise from repeated exposure to mold, so it is not something to play around with. In reality mold is all around us and is very natural. There are mold spores in the air you are breathing and there is really no way around this unless you decide to live inside a plastic, environmentally controlled bubble. The problem is not that there is mold indoors the problem is with the concentration of mold indoors. Mold should not be growing in your walls or on surfaces as that can be a problem and contribute to allergic reactions. We will always live with mold, the question is how much mold should we live with? The answer to that is still being worked out. As mold affects people differently you should talk to your doctor if you think you are suffering from exposure to mold and you take steps to reduce your exposure to mold. Hiring a professional mold remediation company like SERVPRO is a good option. This is kind of a half truth. Bleach may kill certain kinds of mold on non-porous surfaces, however, it is not clear that bleach can kill all kinds of mold nor kill mold on porous surfaces such as wood. Research is continuing to be done on the effectiveness of bleach as a mold cleanup agent. It should be noted that using bleach to “kill” mold poses its own health risks and is not a recommended solution by EPA or OSHA. Bleach is also very corrosive and can cause further damage if not used correctly. Just as there are many “facts” that overstate the mold problem, there are also many “facts” that understate the problem. Here are four of them. Killing mold is not enough. Putting aside the conflicting reports on what kills mold, simply killing mold does not remove the health affects as the allergens are still present even in dead mold. To properly protect against health effects, removal of the affected areas is often necessary. Care must be taken when removing the affected areas so that the allergens and mold is not spread throughout the house. That is why professional mold remediation services are often necessary to properly fix a mold problem. While mold may be natural, consistent exposure to mold can have negative affects on ones health. If mold is growing in your home or place of business it needs to be addressed as it will deteriorate your building and can cause health problems. If mold is to the point where it is visibly growing on surfaces in your home you have a problem. Mold is like an iceberg, you generally only see the tip of it while the majority is below the surface. If you see a little bit of mold you most likely have more growing under the surface out of site. This is another half truth. While you may be able to clean up certain kinds of mold in small quantities most people are not equipped to do proper mold remediation. Simply wiping down the evidence is not good enough. To properly “cleanup” a mold problem you must identify the cause, isolate the area to keep the mold from spreading, and clean and or remove the affected surfaces. 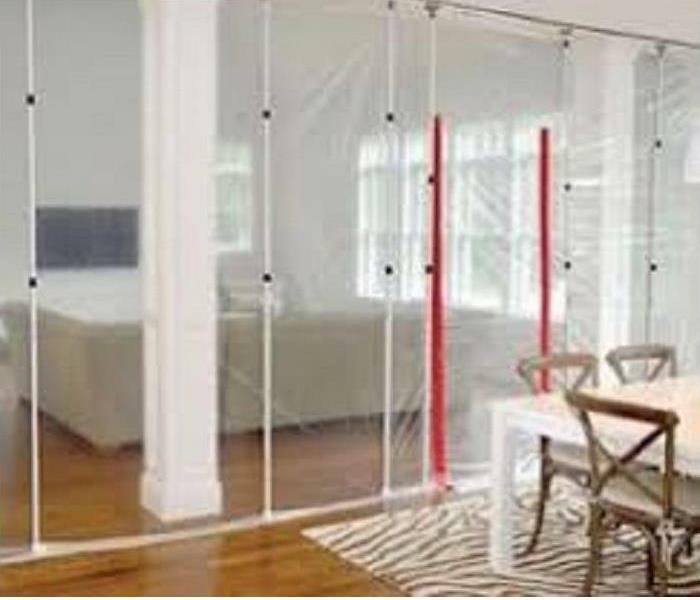 Unless you know how to setup a containment unit, have a couple of commercial sized HEPA air filtration units, protective gear, HEPA vacuums, specialized cleaning agents, and can do a wet extraction to keep mold spores from spreading, you should probably call a professional mold remediation company. When a pipe broke on the 10th floor of this Haddon Township high-rise they called SERVPRO of Haddon Heights/Voorhees. We arrived on site quickly and assessed the situation. The water had migrated from the 10th floor to the 1st floor. In total 20 units and multiple common areas were affected. In less than 10 hours SERVPRO was able to extract all of the water and get the property into "drying mode" with minimal removal of flooring. None of the residents were displaced throughout this event. Below are the comments from the property manager: "Great job by SERVPRO of Haddon Heights/Voorhees, your staff was here everyday working from morning til night until the problem was solved. They were courteous, hard working and very efficient. Any problem we had was dealt with immediately. Thanks again." At SERVPRO of Haddon Heigths/Voorhees our staff has decades of water damage remediation experience. Sometimes we have to get creative in our approach to drying your business or home. At this high-rise senior living facility we had wall cavities that had be dried and we wanted to do it without damaging or removing the walls. In this photo we are ducting warm dry air from our dehumidifier into the wall cavity. We were able to drying 20 units without have to relocate any of the residents. SERVPRO of Haddon Heights/Voorhees is here in your community and Here to Help®. We have teams of certified professionals that are ready to help when disaster strikes. Our crews are certified in water damage repair and fire damage repair. We also have certified teams to assist in mold remediation. Whatever you’re facing, we are faster to any size disaster. 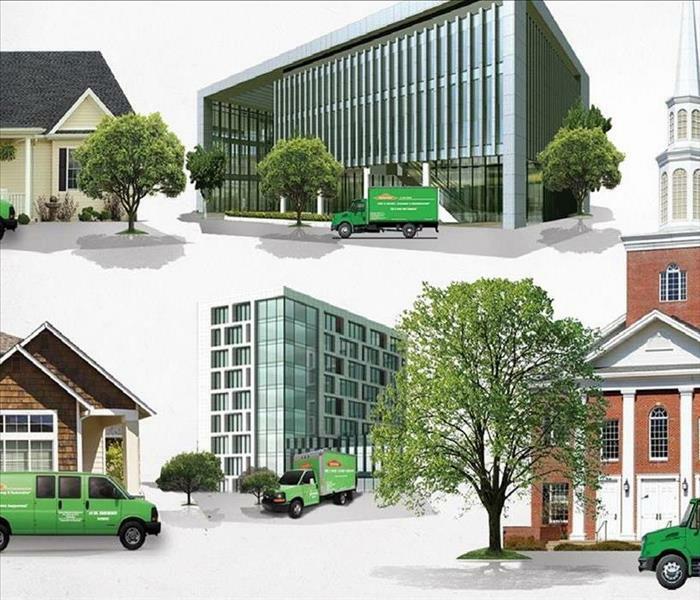 Contact SERVPRO for all of your Commercial Property Restoration Needs. Fire, water and mold damage events at Haddonfield commercial properties are often complex with numerous issues that require a knowledgeable and flexible response. 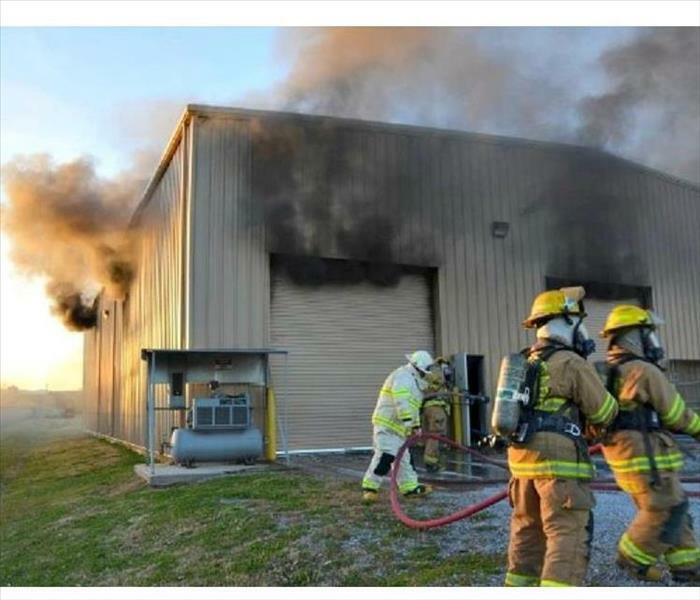 Whether we’re dealing with a relatively small water cleanup scenario or a large scale fire and smoke damage event, we work quickly to assess each unique situation and isolate the damaged area. In many instances, normal operations can continue in a temporary space while we restore your facility. Remember the 30 / 30 Rule for Lightning. 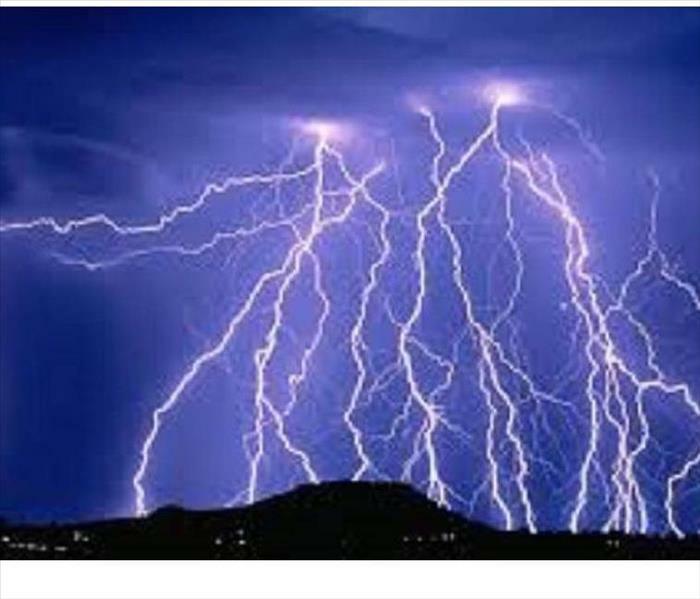 If there is less than 30 seconds between a flash of lightning and the sound of thunder, seek shelter. Wait at least 30 minutes from the last sound of thunder before leaving shelter. SERVPRO of Haddon Heights/Voorhees provides 24-hour emergency service and is dedicated to being faster to any-sized disaster in Voorhees. We can respond immediately to your emergency water damage and have the expertise to handle your water damage restoration or cleaning needs. SERVPRO of Haddon Heights/Voorhees specializes in the cleanup and restoration of commercial and residential property after a water damage event. Our staff is highly trained in property damage restoration. From initial and ongoing training at SERVPRO’s corporate training facility to regular IICRC-industry certification, rest assured our staff is equipped with the knowledge to restore your property. Mold can be found almost anywhere; they can grow on virtually any organic substance, as long as moisture and oxygen are present. There are molds that can grow on wood, paper, carpet, foods, and insulation. Molds reproduce by making spores that usually cannot be seen without magnification. Mold spores waft through the indoor and outdoor air continually. When mold spores land on a damp spot indoors, they may begin growing and digesting whatever they are growing on in order to survive. Molds gradually destroy the things they grow on. Bacteria can start to grow within hours and mold can start to grow within days. Mold spores can lay dormant for years until an ideal growing condition develops, in which they start to flourish. Especially during the summer, the warm humid conditions are a perfect microenvironment for mold growth. When excessive moisture accumulates in buildings or on building materials, mold growth will often occur—particularly if the moisture problem remains undiscovered or unaddressed. It is impossible to eliminate all molds and mold spores in an indoor environment. However, mold growth can be controlled indoors by controlling the moisture. Many types of molds exist. All molds can cause health effects. Potential health concerns are an important reason to prevent mold growth and to remediate and clean any existing mold growth indoors. The purpose of mold remediation is to remove the mold to prevent human exposure and damage to building materials and furnishings. It is necessary to clean up mold contamination, not just kill it. Dead mold is still allergenic, and some dead molds are still potentially toxic! by collecting air and surface samples. Then they can determine whether the mold has been successfully decontaminated. Please contact us if you suspect that you have a mold problem in your home or business. We handle mold remediation work on a daily basis and know when prompt action is required to prevent further mold growth. In the event mold is found on a property. 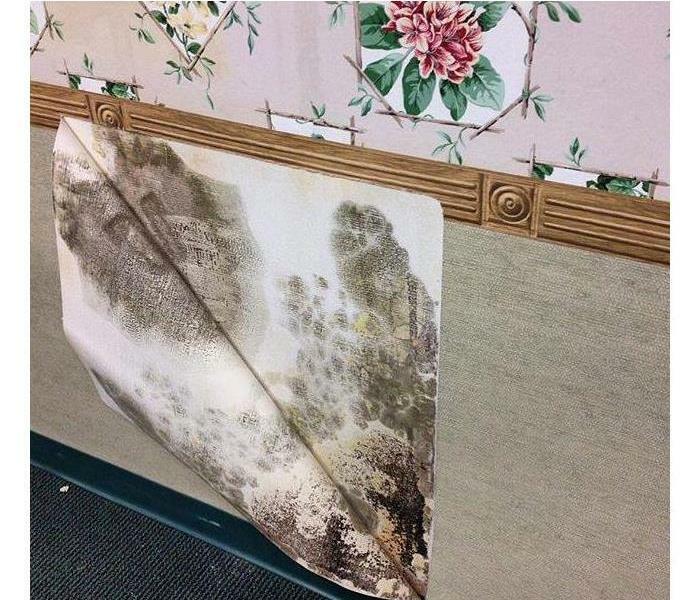 If extensive mold growth is present, it may be recommended that occupants leave the affected area until the containment process is safely and successfully completed. SERVPRO of Haddon Heights/Voorhees is Here to Help®. SERVPRO of Haddon Heights/Voorhees is here in your community and Here to Help®. We have teams of certified professionals that are ready to help when disaster strikes. Our crews are certified in water damage repair and fire damage repair. We also have certified teams to assist in mold remediation. When the storms strike Southern New Jersey, we are ready to deploy our storm damage teams. Whatever you’re facing, we are faster to any size disaster. As a locally owned and operated business, SERVPRO of Haddon Heights/Voorhees is strategically located to respond quickly to your water or flood damage loss. From the time our crews arrive on site to the time they pack up equipment, you will be kept in the loop of what’s happening in your home or business throughout the entire restoration process. This Cherry Hill , NJ customer appreciated our services. when this customer had a water damage to their Cherry Hill NJ home they called SERVPRO of Haddon Heights/Voorhees and we responded right away. We follow up with all of customers after the job is completed to make sure they are satisfied. their comments "Excellent service and consummate professionals. I would highly recommend them to anyone in need of your services" are greatly appreciated. We take great pride in our level of service we provide to all of our customers. If have a small problem in your home or an entire commercial property that is affected call SERVPRO of Haddon Heights/Voorhees first. When fire and water damage puts the things that matter most on the line, you need to very best help on the line as well. SERVPRO of Haddon Heights/Voorhees is just a call away at 856-566-3388. 1/3/2019 - SERVPRO of Haddon Heights/Voorhees is Here to Help®.